Crowdfunding has gained considerable traction over the last few years. By combining the Internet/social media with equity-based financing, it is poised to usher in a new asset class that will change how early stage and small business financing transactions are consummated. 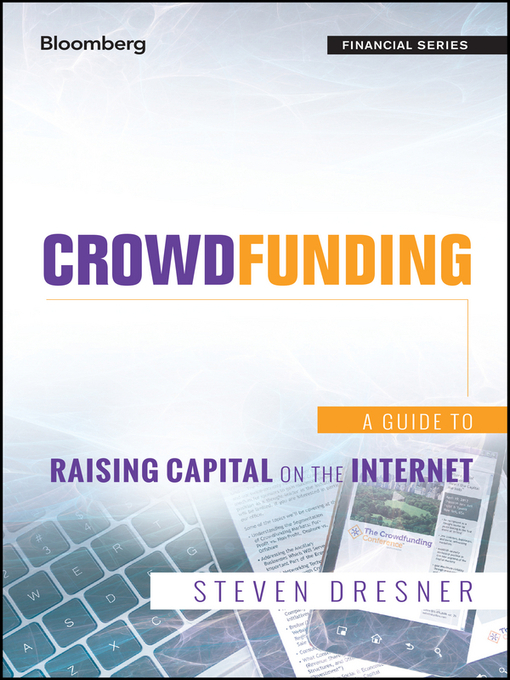 Author Steven Dresner, Founder and CEO of Dealflow.com, understands the nuances of how crowdfunding can help companies gain much needed access to capital, and now he shares those insights with you. Engaging and informative, this book will serve the needs of a global audience comprising entrepreneurs, financiers, and other professionals. It skillfully addresses the market dynamics that are catapulting crowdfunding into the mainstream and explores essential issues ranging from planning an online campaign, post-transaction management, and business planning to securities law and tax issues. Crowdfunding affords-start ups and other smaller businesses better access to capital via the Internet/social media. It also allows an investor of any size to back a business of their choosing. This new book will show you what this process entails and how it can benefit everyone involved.